By landing here on this page it is likely you are in the market for Aquarium Filters. 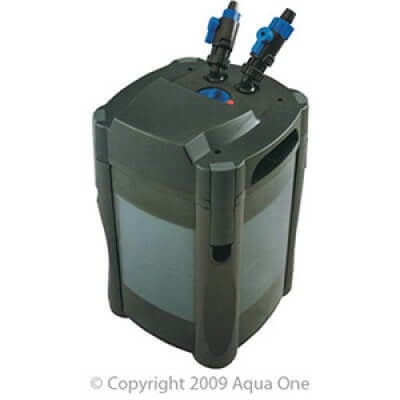 Either you have an existing aquarium and your current filter is not keeping it clean or you have just purchased yourself a new aquarium and need the correct filter. If you have an existing filter but your aquarium is not clean we can HELP as we deal with these issues every single day. 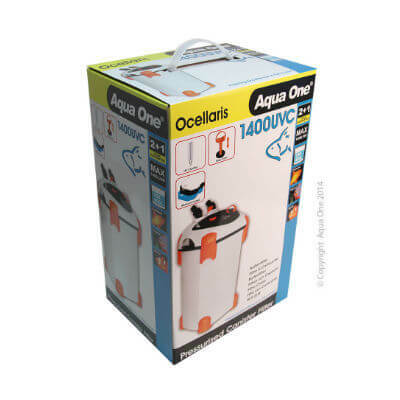 If you are looking for a new filter for a new aquarium we can go through the different types of filters and which ones are more suitable for your aquarium. Aquarium Filters are complicated so stick with us here at Waterlife Aquarium and we will show you how EASY it can be. First of all check out the video below of our store and our complete range of filtration then read on further down the page to explain as simply as possible ‘Aquarium Filters’. Before we explain the different types of Aquarium Filters first you need to understand the 3 types of ‘Filtration’. 1. Mechanical Filtration – This is where an air pump or water pump pass water through a sponge or wool filter type pad. The filter pad catches all the floating debris helping keep the water clean. 2. Biological Filtration – This is where the toxins and harmful ammonia (fish waste) is removed from the water via live bacteria. The way it works is filter media commonly in the form of Filter noodles are inserted inside the Aquarium Filter. As the water passes through the filter the live bacteria removes (breaks down) the harmful ammonia in the aquarium. The biggest killer of fish in your aquarium is ammonia therefore biological filtration is super important. 3. Chemical Filtration – This is where you add a chemical media into your filter to help clean the water. These chemicals can be in many forms however the most popular are activated carbon, zeolite (ammonia remover) and peat moss and/or volcanic rock which is used as a phosphate remover. These chemicals help improve water quality in your aquarium. Now here is the confusing bit for Aquarium Beginners. 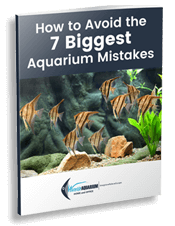 What type of Aquarium Filter does does your fish tank require? Do I need all 3 types? What water flow do I need for my size aquarium? Which filter do I choose? The question you need to ask yourself is ‘How often do I want to be doing a 30% water change on my aquarium?’ If your answer is ‘as least as possible’ the best choice is definitely a Canister Filter. Check out some photos below of Canister Filters and links for further information. Click the links below for more detailed information on Filtration. 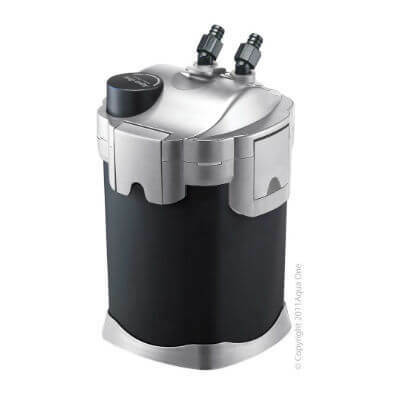 Prices for Canister filters vary between $150 up to $500 depending on the Warranty, Flow Rate, whether there is an Ultra Violet Steriliser, Type of Filter Media inside and obviously the quality. At Waterlife we only stock the well-known brands that come with a minimum 3 year warranty so they will last longer. 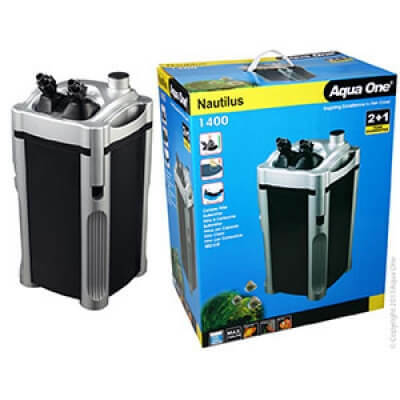 BEWARE of cheap no name brands of aquarium filters online because parts are either hard to get or non-existent especially a year or so down the track. We deal with these issues every day in our store. A customer buys a cheap filter and the tap breaks and parts aren’t available. They end up buying a quality aquarium filter and have the peace of mind for years to come. To determine the required flow rate for your Aquarium Filter, calculate how many litres of water in the aquarium. You can do this by multiplying the length x width x height in mm then divide x 1000. Example 90cm x 35cm x 45cm. Calculate .9 x .35 x .45 = .141 x 1000 = 141 Litres. Then multiply the litres x 4 (minimum). So the flow rate for 141 Litres will be 564 Litres per Hour minimum. We always recommend an aquarium filter around 700 litres per hour for an aquarium around 150 Litres. If you are happy to change a minimum 30% of the water in your aquarium weekly, an Internal Filter may be adequate. Remember that you get what you pay for so obviously a $50 Internal Filter won’t do the job of a Canister Filter. Internal Filters generally only have ‘Mechanical Filtration’ therefore the regular water changes weekly are recommended to remove the harmful ammonia as there is no biological filter media. If your budget is low and you need to purchase an internal filter we recommend that you add a small amount of filter noodles inside the chamber that houses the sponge. You will need to remove some of the sponge to fit in the filter noodles. Also cut the sponge in half then alternate the cleaning. Always keep one sponge dirty as this is where the live bacteria is living. 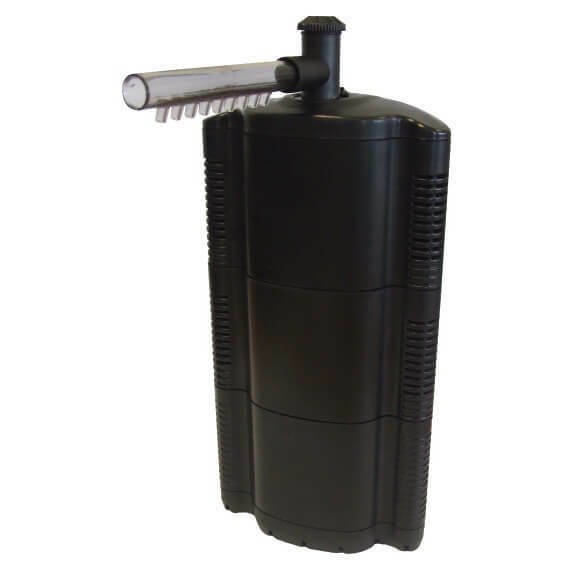 There is one brand of internal filter that has compartments for biological and chemical filtration and that is the Aquamanta. See photo and product link below. These come in 3 different flow rates. There is also a budget range of filtration. Internal Sponge Filters which operate on air, Under Gravel Filters and Hang On Filters. The first 2 mentioned are ‘Old Style Filters’ and modern technology have left this type behind (except for use in commercial breeding tanks for housing baby fish). The Hang on Filters work adequately however they require cartridges containing sponge and carbon which need to be changed monthly. Visit our store today to discuss the best form of aquarium filter for your needs. Ready to Buy an Aquarium Filter? CLICK ‘Enquiry Button’ or CALL us now to discuss what Aquarium Filters are best suited for your needs.